President Kim Il Sung - referred to as "The Great Leader", he founded the Democratic People's Republic of Korea and although passed away on June 8th 1994, remains eternal President of the DPRK. General Kim Jong Il - Son of President Kim Il Sung, he was General Secretary of the Workers's Party of Korea, chairman of the National Defence Commission of the DPRK and Supreme Commander of the Korean People's Army. 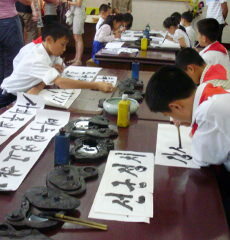 Portraits of him and Kim Il Sung are abundant throughout the country. Marshall Kim Jong Un - the Supreme Leader of the DPRK, he is son of General Kim Jong Il and grandson of President Kim Il Sung. Marshall Kim Jong Un is too First Secretary of the Workers's Party of Korea, First Chairman of the National Defence Commission of the DPRK and Supreme Commander of the Korean People's Army. He makes many public speeches and on the field guidance. National Flag - explanation on what the different features of the national flag represent. 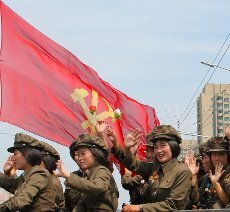 DPRK Flags - list of other national flags and symbols of North Korea. North Korean National Emblem - explanation of features and meanings of the national emblem of the DPRK. 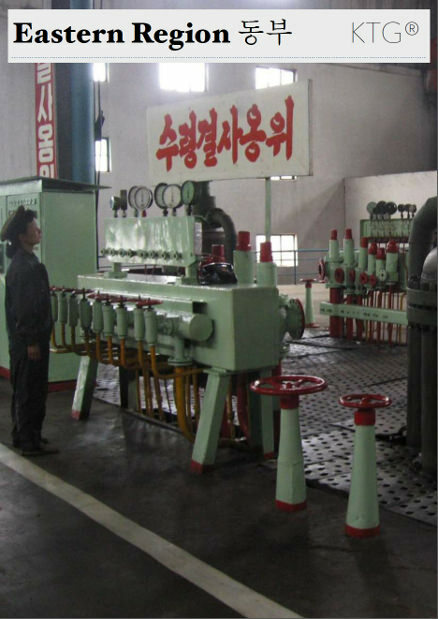 Juche Philosophy - information on the national line of thought of the DPRK. DPRK Map - Detailed Interactive Map showing provinces in the DPRK together with a description of each one. 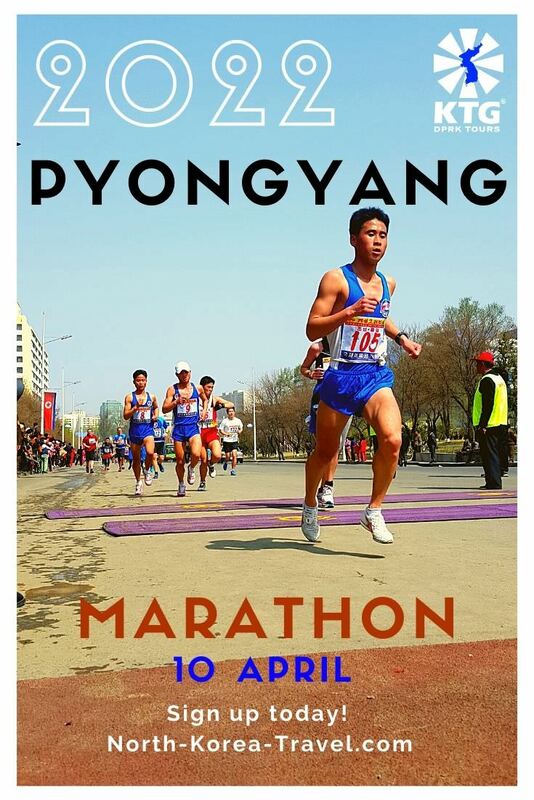 As you are probably aware of, the DPRK is a unique destination. 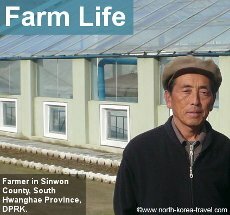 We will fully brief you before your departure to North Korea, but find it essential for travellers to have a clear understanding of the nature of the country, its circumstances, politics and how these factors all shape the way the DPRK is which is why we have this page with important North Korea information. We find that Koreans are very proud of their nation and friendly with foreigners despite the perceptions people may have of the country its people for one reason or another. 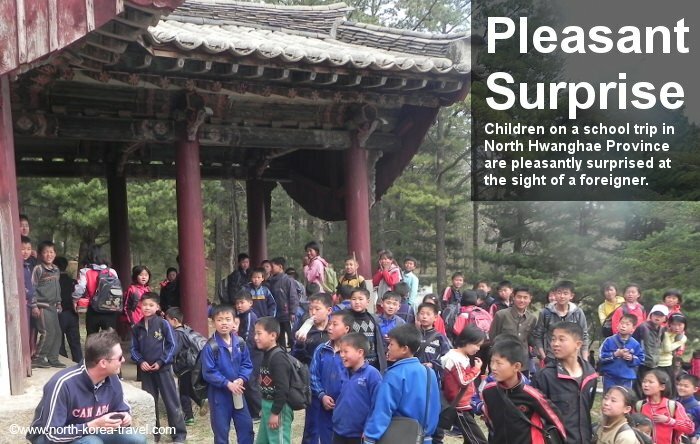 Under no circumstances should travellers offend Koreans, their leaders or the regime. 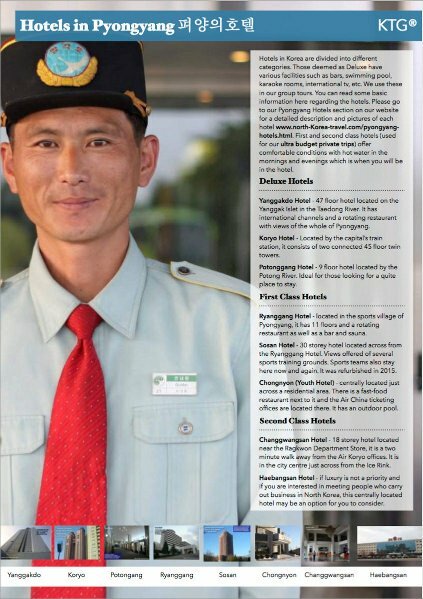 We have arranged countless trips to DPRK over the past years and ask for our local Korean guides to be those for whom we have received most positive reviews from our travellers. The Korean guides we work with are not only friendly but also willing to discuss issues related to their system and economy. Some of the guides we work with have worked with Western NGOs in the country and know first handedly the main challenges the country faces. Being able to talk with them is always enlightening and insightful and a rich source of North Korea information. However, we kindly ask you to discuss any topics with the local guides in a respectful manner and never in a negative tone towards the country. Sensitive topics should not be brought up. We will of course fully brief you regarding this before your trip to North Korea. Please note that it will not be new for Korean guides to hear negative comments about their country. This simply makes the experience less enjoyable for them and for the travellers. Please check our Korean History section for more information that will help explain how the past of Korea has led to its current situation. Please click on our Koryo Dynasty page to go from our North Korea Facts page to read about one of the strongest kingdoms in the history of the Korean peninsula. You may also find the USS Pueblo Incident interesting to read about as it was seen as a major direct confrontational moment between the DPRK and the US during the Cold War and lasted almost an entire year.